Our project: Narayanganj Palliative Care – Building a Compassionate Community in Bangladesh Working Towards Universal Health Coverage, has reached 583 people this quarter. It is delivered in partnership with the Department of Palliative Medicine at BSMMU, and funded by UK Aid from the British people. We started a community palliative care service, with a focus on women and girls, including a Palliative Care Hub. We trained palliative care assistants (PCAs), nurses, doctors and community volunteers, and held a meeting to sensitise community leaders to palliative care. The PCAs are making home visits in the community, while the doctors and nurses see patients at the Hub and in their homes. Volunteers raise awareness of palliative care and refer patients to the palliative care team. The team distribute food parcels and medicines to patients with greater socio-economic needs. We trained patients and carers on their legal rights, and started a 24-hour palliative care phone service. 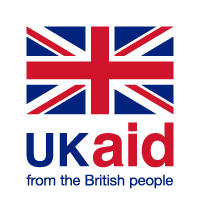 This innovative project is funded by UK Aid Direct. We aim to build a compassionate community to ensure people access the health care that they need when living with and dying from serious illness in the Narayanganj City Corporation of Bangladesh. In Bangladesh people are living and dying with serious pain and suffering because there are so few hospice and palliative care services and essential palliative care is not included as part of Universal Health Coverage. This project aims to address this by providing a model of care in one Bangladesh city which shows how compassionate palliative care alleviates suffering, positively impacts people's quality of life and is a cost effective and ethical imperative of health systems. It is crucial for achieving Universal Health Coverage – one of the Sustainable Development Goals agreed by all government in 2015. The UK is the place where modern hospice and palliative care began and has a strong hospice movement and a comprehensive national health service. The UK aims to ensure that adults and children with serious illness such as cancer, dementia and heart conditions can access the palliative care they need and that it is free at the point of use. UK Aid Direct's leadership in supporting this innovative approach in Bangladesh will show how palliative care is an essential part of a good health system, how it alleviates suffering and is a cost effective and critical part of Universal Health Coverage within Bangladesh.